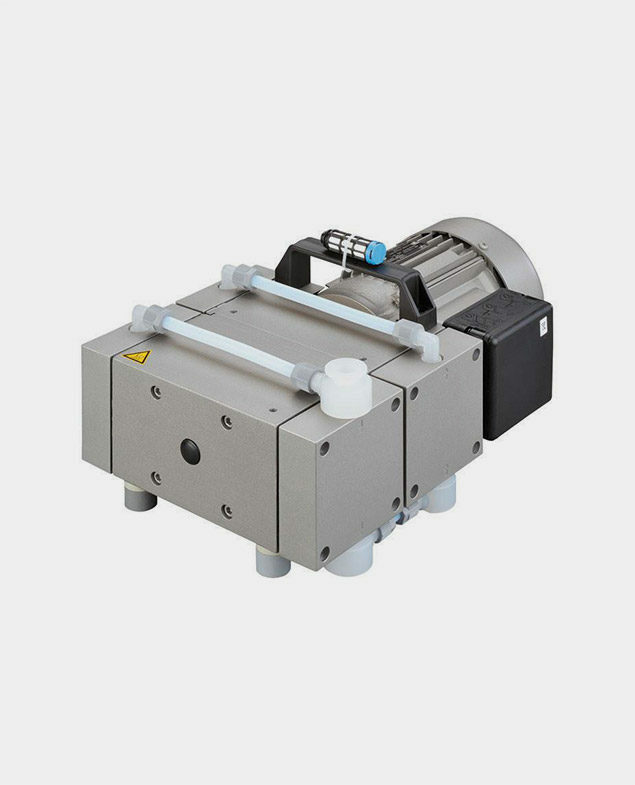 High Capacity dry diaphragm vacuum pump. PTFE contact surfaces, deep vacuum at with high flow. Welch High Capacity Diaphragm Pump 2052 contains the vacuum unit and two four pump heads. Each pump head contains a diaphragm and the work valves. Two pairs of pump heads are arranged opposite each other. The pump heads are driven via an eccentric shaft with a connecting rod.